Hashi Mohamed came to Britain as a nine-year-old refugee from the Somalian Civil War. He attended some of London's worst schools, and was raised exclusively on state benefits. And yet today he is a successful barrister, with an Oxford degree and CV that includes appearances on the BBC. In People Like Us, Hashi explores what his own experience can tell us about social mobility in Britain today. His story, he concludes, isn't typical - there are still enormous barriers to progress which block children from deprived backgrounds from accessing the advantages that are handed to others from birth. And companies - consciously or unconsciously - still recruit those who resemble their existing workforce, making it ever harder to break into workplaces dominated by the middle- and upper-class, the privately educated, 'people like us'. Powerful, perceptive and asking difficult questions, People Like Us encourages us to look again at our own society, and see what could be done to change it. 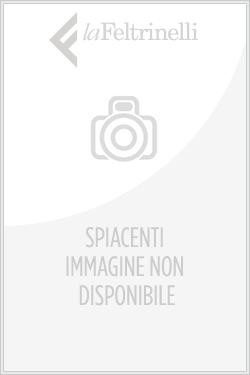 Acquista People Like Us in Epub: dopo aver letto l’ebook People Like Us di Hashi Mohamed ti invitiamo a lasciarci una Recensione qui sotto: sarà utile agli utenti che non abbiano ancora letto questo libro e che vogliano avere delle opinioni altrui. L’opinione su di un libro è molto soggettiva e per questo leggere eventuali recensioni negative non ci dovrà frenare dall’acquisto, anzi dovrà spingerci ad acquistare il libro in fretta per poter dire la nostra ed eventualmente smentire quanto commentato da altri, contribuendo ad arricchire più possibile i commenti e dare sempre più spunti di confronto al pubblico online.